Despite the absence of any empirical support, Fed governors and staff economics persist in their reliance on the Phillips Curve, which predicts that low unemployment leads to rising inflation. U.S. unemployment at around 4% is in fact at 17-year lows. The Fed insists that the time to tighten monetary conditions is now, before the inflation emerges. Yet as I’ve explained many times, the Phillips Curve bears no correspondence to reality. The 1960s were characterized by low unemployment and rising inflation. The late 1970s were characterized by high unemployment and high inflation. The 2010s have been characterized by low unemployment and low inflation. There is no correlation between inflation and unemployment, just as there is no correlation between inflation and money supply. Inflation is always and everywhere a psychological phenomenon. When citizens lose confidence in a form of money, velocity does the rest, as no one wants to hold onto a currency that’s rapidly depreciating in value. The other ostensible reason for Fed tightening is official confidence that the U.S. economy is on a solid growth path. As with the Phillips Curve, there is no evidence for this belief. The U.S. savings rate plunged to 2.1% by late 2017, a fraction of the 6.3% rate that prevailed from 1970-2000. The combined impact of the 2017 Trump tax cuts, bipartisan congressional repeal of discretionary spending caps, and rising student loan defaults will push U.S. budget deficits well past $1 trillion per year indefinitely. This added national dissaving will push the U.S. savings rate to zero. This means the U.S. must either reduce investment or borrow savings from abroad. Both courses hurt growth. Other headwinds to growth include Trump’s trade war, impediments to immigration, and higher real rates as the U.S. Treasury tries to attract buyers for the $10 trillion of new debt it must sell in the decade to come. These specific headwinds are of recent vintage and come on top of the pre-existing secular stagnation due to demographics, deleveraging, and declining productivity. The Fed understands these impediments to growth although they cannot publicly pivot away from their rosy scenario. Still, this begs the question, why is the Fed tightening if the economy is so weak? The answer, as I’ve said repeatedly but can’t say enough, is that the Fed is preparing for the next crisis. The evidence is clear that it takes 3% to 4% in rate cuts to pull the U.S. out of a recession. The Fed cannot cut rates even 3% when the fed funds rate is less than 2%. New Fed Chair, Jay Powell, has inherited a rate tightening policy from his predecessor, Janet Yellen. That policy calls for four rate hikes per year, each March, June, September, and December, of 0.25% each. However, the Fed has shown a willingness to “pause” the rate hikes when the economy slows down or stocks become disorderly. 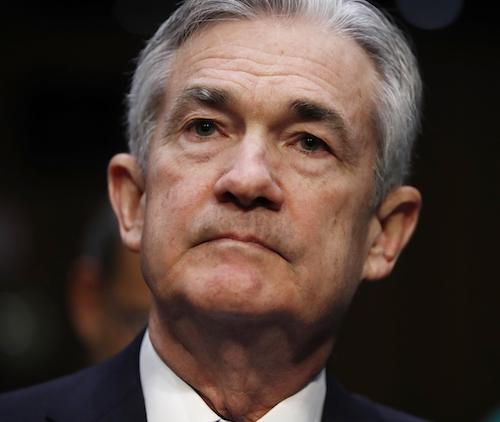 Powell will raise rates on March 21, 2018 but is likely to pause later this year as the impact of prior rate hikes slows stocks and the economy. Reducing the balance sheet is a precautionary step in case a recession arrives before rates reach 3%. In that case, the Fed would cut rates as far as they could until rates hit zero, and then revert to QE. (The Fed has shown no inclination to use negative rates, and the evidence from Europe, Sweden and Japan is that negative rates don’t work anyway). The Fed does not have an unlimited capacity to monetize debt. The constraint is not legal, but psychological. There is an invisible confidence boundary on the size of the Fed’s balance sheet. The Fed cannot cross this boundary without destroying confidence in the central bank and the dollar. Whether that boundary is $5 trillion or $6 trillion is unknowable. A central bank will find out the hard way instantaneously when they cross it. At that point, it’s too late to regain trust. The Fed’s preference was to let bubbles pop on their own and then clean up the mess with monetary ease if needed. This new view (really a reprise of the 1928 view) emerged in the minutes of the Federal Open Market Committee, the Fed’s rate policy arm, for November 1, 2017, and was echoed in the public remarks of Fed officials in the days following this FOMC meeting. This newfound concern about asset bubbles played out in the FOMC’s decision to raise rates at their December 13, 2017 meeting despite continued worries about disinflation. As if to validate the Fed’s new approach, U.S. stock markets soon suffered a sharp 11% correction during February 2 – 8, 2018; a mild preview of what happens when the Fed tries to deflate asset bubbles. The Fed’s attempted finesse in financial markets could well result in a market crash as bad or worse than 1929. The second Fed blunder was an effort to normalize rate policy in 1937 after eight years of ease during the worst of the Great Depression beginning in 1929. Today’s policy normalization is almost an exact replay. 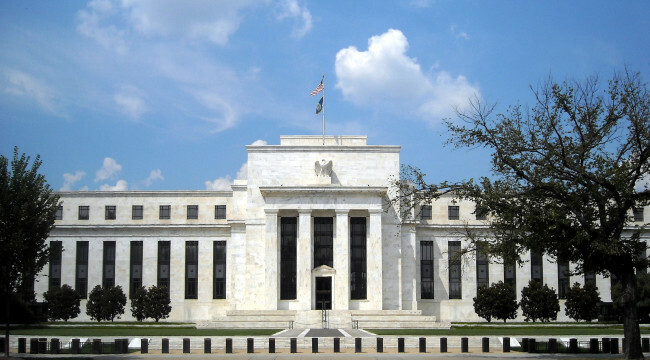 Reverting to monetary ease does not allow an escape from the Fed’s dilemma. More ease merely reflates asset bubbles, increases the scale of the system, and insures a crash of unprecedented magnitude. As the Fed attempts the “Great Unwinding” from ten years of extraordinary monetary policy, there are no good outcomes.